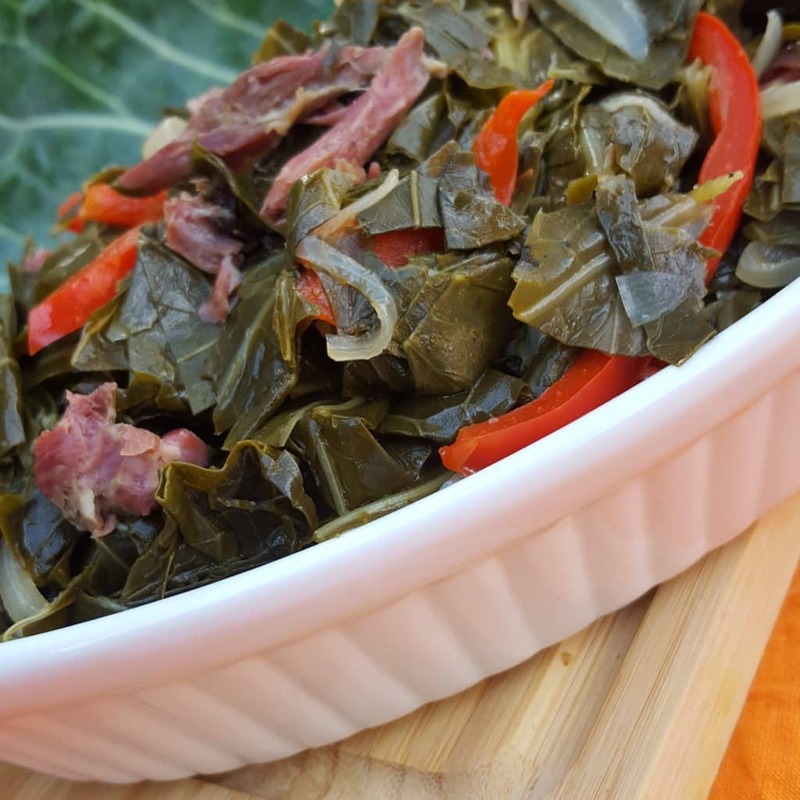 Collard greens were my Mama’s favorite…so much so, that I spent every Saturday as a kid for as long as I can remember, picking and cleaning bunch after bunch of collard greens for Sunday’s dinner. I remember as the week moved forward I would often wonder, how many hours of play time will I have to give up this week because of collard greens. As I got older, I actually looked forward to those Saturday evenings spent on the porch picking greens with my Mama. Its as if collard greens or the process of picking & cleaning them always evoked childhood memories for her. During these times, she reminisced of her childhood and the experiences she had growing up in Ruston, Louisiana. She spoke about her parents, her grandparents, her siblings, and her first love. 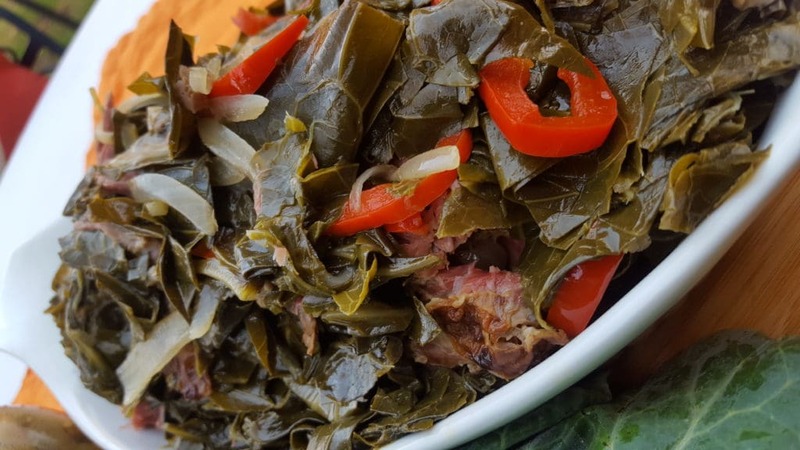 I love me some collard greens but, I’ve learned to cook them a little healthier. I remember the 1st few times I stir-fried them with no meat, I used onions, bell peppers & spices to flavor them. I was so proud of myself, I thought they were very tasty; different but good all the same. I couldn’t wait to go over Mama’s house to share them with her, you know to get her expert opinion; after all nobody knew collard greens like my Mama. She looked at the wok of collard greens, looked at me and back at the wok again and said, “Girl these damn greens ain’t even done,” then she tasted them…OMG. I can see her face now, LOL! She had a look of ugh, on her face…she said, “Girl, I don’t know what you call yourself doing to these collard greens but, it ain’t working…you need to add some flavor to these greens; like the flavor you get from hamhocks, neckbones, fatback or salt pork,” It’s safe to say that my Mama was not impressed by my newfound way of cooking collard greens. Mama has transitioned to the other side now and I can’t express how much I miss her; she was always the first person I spoke with in the mornings and the last person I spoke with at night. I miss hearing her voice, I miss her hugs & kisses, her constant words of affirmation, our shopping & dining out excursions and her collard greens. Those times when I need to feel her presence the most, I find myself taking a trip to the market. I pick out the best-looking bunches of collard greens, like the ones mama would’ve chosen. I put on her favorite music and revel in the memories, shed a few tears; all while picking, cleaning and cooking collard greens. In a large pot, bring 3 quarts of chicken broth to a boil and add smoked meat. Reduce heat to medium and cook for 1 hour. Wash the collard greens thoroughly. Remove the stems (optional) that run down the center by holding the leaf in your left hand and stripping the leaf down with your right hand. The tender young leaves in the heart of the collards don’t need to be stripped. Stack 6 to 8 leaves on top of one another, roll up, and slice into 1/2 to 1-inch thick slices. 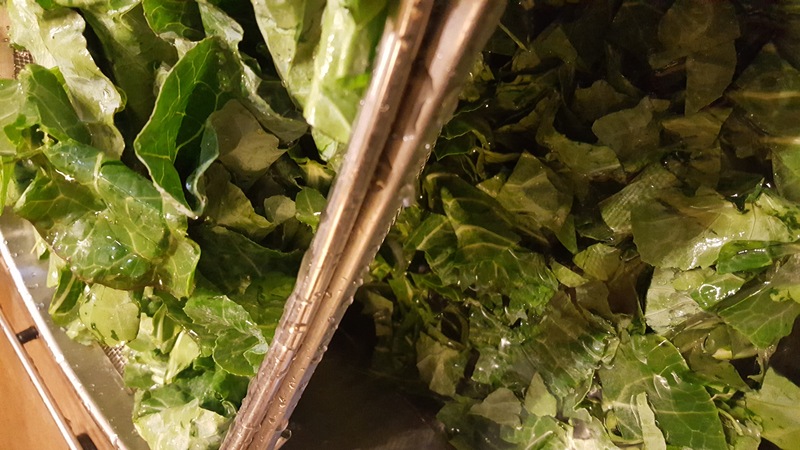 Wash the collard greens again to make sure they are cleaned well; making sure that all grit, dirt, worms, etc…have been washed away. Place greens in pot with meat. Cook for 45 to 60 minutes. Stir & taste occasionally. While greens are cooking saute onions, bell peppers, fresh garlic and spices in a cast iron skillet. Add sautéed veggies to the pot with collard greens and stir well. When done taste and adjust seasoning.